With support from Herrera, and in collaboration with Washington State Parks, Northwest Straits Foundation is wrapping up construction on a nearshore restoration and shoreline armoring removal project at Fort Townsend State Park. The project restores and improves natural environmental conditions at Fort Townsend State Park, while providing low impact shoreline access opportunities and environmental education for the public. Herrera provided planning, technical, scientific, and engineering support throughout the duration of the project. 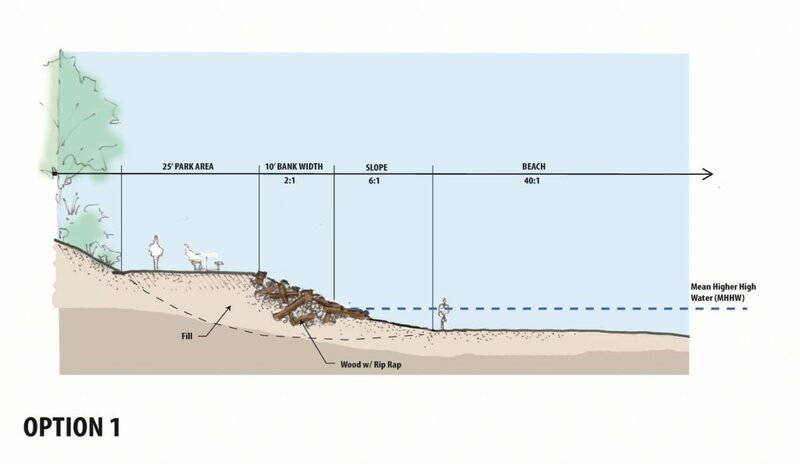 Highlights of the project include: 1) Removing 1,400 cubic yards of fill and large riprap, 2) Planting riparian area with native vegetation, 3) Enhancing 9,000 square feet (0.2 acres) of beach and nearshore habitat, 3) Creating an alternative to hard armoring demonstration site, 4) Improving forage fish spawning habitat, and 5) Improving and enhancing low impact public access to the beach. Fort Townsend State Park is a former military reservation on the shores of Port Townsend in Jefferson County, Washington. The park land was used for various purposes by the US Military between 1856, when it was established, and 1953 when Washington State Parks took ownership of the property. Many of the military uses were related to a dock and a fill pad that connected it to the main shoreline access road. The access point at Fort Townsend State Park is the only public access to the shoreline between Port Townsend and Kala Point, more than three miles of shoreline and includes a kayak-friendly launch spot. New Technology for Quieter In-Water ConstructionCongratulations to the City of Portland: World’s First Salmon-Safe City!